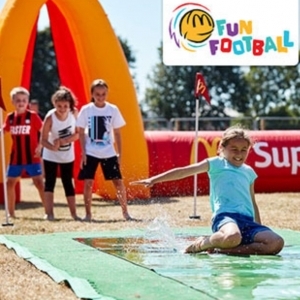 Applications are now open for your organisation to bring a McDonalds Fun Football Festival to your local community. This prize package will include an action-packed inflatable Fun Football Zone delivered by qualified coaches plus many more Fun Football Activities. Fill out the application form below for a chance for your club or organisation to host a Fun Football Festival.